The Greatest Match I Ever Fought, I Lost. The All American Open was one of martial arts biggest tournaments. 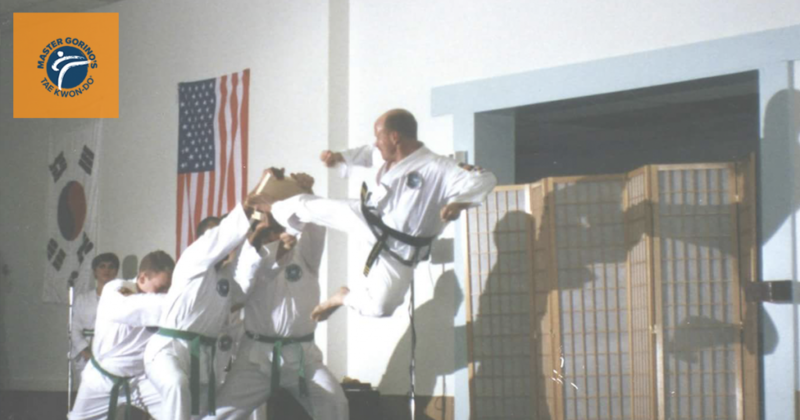 Henry Cho, a Tae Kwon-Do pioneer and 9th dan instructor, created the competition in 1965. It was the tournament Bruce Lee met Chuck Norris. It was held at Madison Square Garden. It drew contestants from all over the world, many who went on to win Olympic medals. …and I had no business being there. Yet, I was a young and ambitious 2nd degree black belt and my instructor felt I was ready. So he signed me up and there I was. What was Madison Square Garden Like? I remember walking into Madison Square Garden being completely blown away. It was bigger than I imagined. Up until then I had only read about the tournament in Black Belt Magazine and Tae Kwon-Do Times, and yet, there I was, standing in the middle of it all. It was very daunting. My first round match was against a guy we’ll call Harry. Everyone knew Harry. He was a rising star, one of those lean and mean natural athletes who was making headlines winning tournament after tournament. Later in life, Harry would hang a few Olympic medals around his neck. I was a pretty tough kid who trained at a rough martial arts school. We fought each other hard. We sparred hard. The mirrors were cracked like spider webs from our training. It wasn’t uncommon to fracture a few ribs or break someone’s nose at our school. Note: Tae Kwon-Do training has drastically changed in the past 30 years. The student population and environment is completely different. Rarely are there injuries like the ones I witnessed. At least, not in my school. I walked out onto the mat. The crowd cheered in the anticipation of me getting knocked out. Suddenly, all my training came together. My nerves settled, the crowd noise went away, and I stood there focused on my opponent. I stopped thinking and assessed what was in front of me. Harry came at me fast and hard. My instructor was right, Harry’s strategy was to figuratively kill me, to knock me out quickly and move on to the next round. I blocked everything he threw at me. He was fast, but he was also being sloppy. My only option was to stay on defense. Harry was tough, but I kept him moving. There were opportunities where I thought I might connect a punch and earn a point, but I didn’t want to leave myself vulnerable, not with this guy. We battled it out exchanging blows and blocks until, before I knew it, the match was over. Tie breakers are simple, the first person to score wins. Harry and I walk out onto the mat again. The ref blows the whistle and we picked up right where we left off. Then, I saw an opportunity. It was a small opening, but I took it. I closed my eyes and came around with a reverse punch. I missed. Harry countered with a wicked spinning hook kick and tagged me in the head. Harry won the match 1-0. At the time I was disappointed. Eliminated in the first round meant I was out of the tournament. No chance to fight for second or third place, no trophy. Nothing. But this was one of my best fights ever. Harry was, and is, an incredible fighter. I was young and inexperienced, yet I took this champion to a tie breaker. I took what he dished out and held my ground. He earned his point, but he didn’t knock me out. You learn the chips fall where they fall. You win some, you lose some. And sometimes your greatest fight is the one you lose.